Are you considering a new landscape project for your home or business in the Northern Beaches suburb? If you are, you'll want to be sure to work with a landscape contractor who has a great reputation and does high-quality work. Stories about landscaping projects gone wrong are unfortunately common. 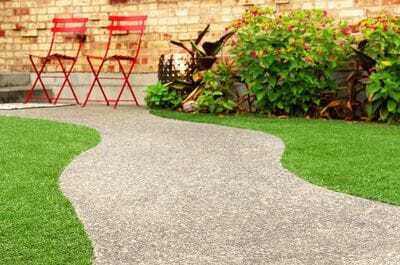 Issues ranging from inappropriate designs, poor plant choices, unfinished jobs, and even damage to property can be caused by inept landscape contractors. Luckily, these issues can be avoided quite easily. The best way to find a landscaper that you can trust is to use the LNA, or Landscape Association of NSW and ACT. The LNA is a trade group that represents landscaping businesses, and holds its members to strict standards for quality of work, environmental design, business ethics, safety, and more. Using an LNA-member business can save you time and money on costly mistakes. To find an LNA member, search the database to find local businesses in the Northern Beaches area. We recommend getting three quotes and choosing your favorite. Since 1979, the LNA has been working with the best landscapers in NSW and ACT to provide superior service to our customers. Nationally, we are recognized for excellence in the industry, and for providing a connection between customers and quality landscape contractors. Everyone benefits when you use an LNA landscaper for your Northern Beaches project. To find landscape contractors working locally in the Northern Beaches suburb, enter your address on the LNA member search page today.